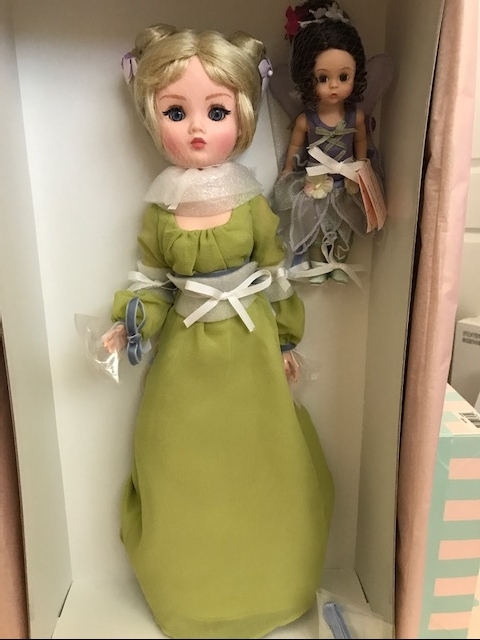 This extremely rare, never removed from box two doll set, was the Cissy event centerpiece at the 2008 Madame Alexander Doll Club Convention. Both 21 inch Cissy and 8 inch Wendy fairy are articulated. 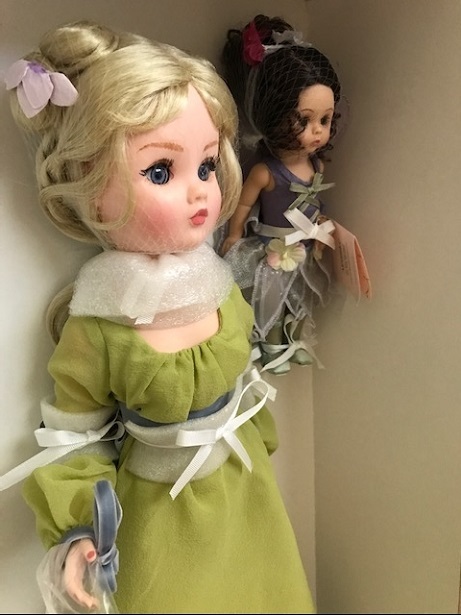 What you can't see from the photo is Cissy has a loosely plaited braid that falls below her waist and is dressed with flowers and blue ribbons. Her green chiffon gown is lined with green satin and she's accessorized with sheer pantyhose and pale lilac faux leather T-strap heels. 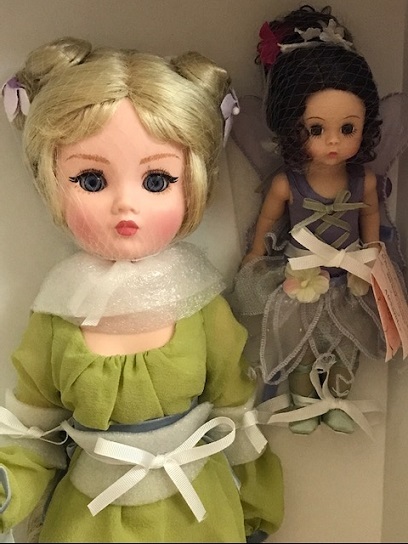 Wendy is a shadow of 21 inch "Cissy in the Garden of Fairies" with a brunette updo dressed with flowers and iliac wings. She is wearing a lavender dupioni silk bodysuit with pale green lacing up the front, a sheer lilac petal skirt adorned at the waist with flowers, shimmering soft green tights and matching lace-up slippers. wings are a shimmery, semi-sheer lilac.